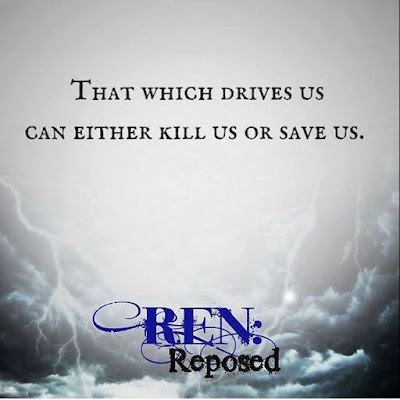 REN: Reposed is the second book in the REN series by Brittany Quagan. This is a series that must be read in order, and I highly recommend you read them one after the other. It's been awhile since I read the first book, and so much happened in that book, so I had to go back and review what I'd forgotten. Well worth it though! I enjoyed learning more about the character's pasts within this book. It really brings things together and explains certain attitudes. These characters are very well built and believable. The story grabbed my attention again and again. There are so many directions it could have gone, and it actually went in one I didn't expect. I'm pretty pumped up for the next book! Maybe next time I'll have time to re-read the previous books, so I won't have to play catch up as much. 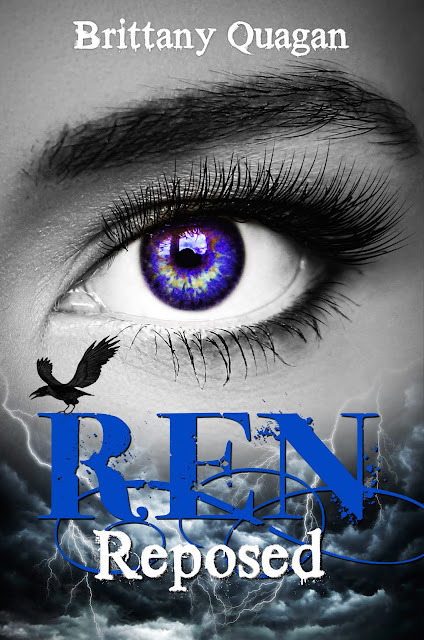 Ren: Reposed by Brittany Quagan by Brittany Quagan was kindly provided to me by the author for review. The opinions are my own. Brittany Quagan, known by family and friends as "Brittles," was born in Connecticut, twenty-something years ago and spent most of her life day dreaming like the stereo-typical Gemini she is. Growing up, she wanted nothing more than to live a life of magic, mayhem, and writing, never knowing her dreams were being manifested into a reality with every wish and intention. As a teen, her anxiety-riddled existence became nothing less than a burden, but she was determined to escape it and convinced there had to be more going on than just "being anxious." It wasn't until she met a new group of friends who guided her down a path of understanding energy and intuition that her life changed and she was able to overcome this. Today, Brittany owns Journeys: School for the Soul, LLC in Windsor, CT.; an anxiety relief, intuitive development & healing center to help others who suffer from anxiety/panic disorder, those who believe in the unseen to tap into their intuitive selves, and to help people grow, find empowerment, manifest like a boss, and heal from wherever it is they feel stuck. Ren's story isn't one that just came to Brittany; it's a story she lived. Most of what you read about in the adventure-filled series are experiences that are very real, that actually happened as it is entirely based on Brittany's life, and people she has met along the way. The series is one that's dwelled inside Brittany since she was a child, but couldn't be told until she finished living it for herself. When Brittany isn't teaching, counseling, or writing, you'll find her traveling with friends & family on a quest for adventure wherever she can, dying her hair every color of the rainbow, playing with her three nephews, trying craft beers, ruthlessly rating buffalo wings from all over the country, and talking to the moon. Most recently, she traveled to Alaska to dance on a glacier and bike down a mountain crying from hysterical laughter and extreme fear of plummeting to her death. 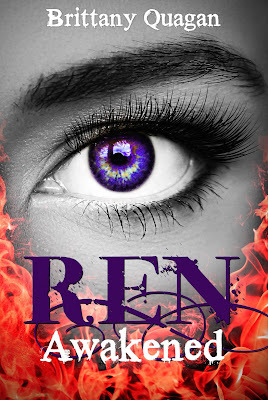 REN: Awakened is her first published book. 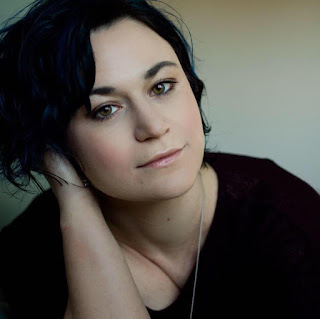 Check out my interview with this amazing author! To learn more about Brittany Quagan and her books, visit her website.You can also find her on Goodreads, Facebook, Instagram, Pinterest, and Twitter.